Each year the L’Oréal-UNESCO For Women in Science call for application from talented young African women scientists to receive fellowship grants to pursue promising research projects. Founded in 1998, the L’Oréal-UNESCO For Women in Science Sub-Saharan Africa Fellowships aims to promote and encourage young African women in science. Its programs reward established women scientists whose outstanding achievements have contributed to the advancement of scientific knowledge and of its benefits to society and provide support to promising young women who are already making significant contributions in their scientific disciplines. 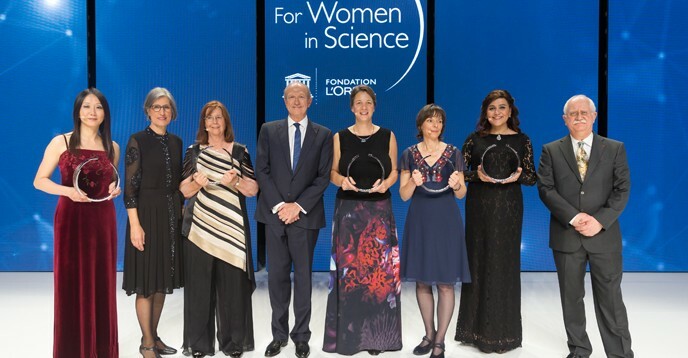 This program identifies and rewards talented young female scientists in the field of Life Sciences (such as biology, biochemistry, biophysics, genetics, physiology, neurosciences, biotechnologies, ecology and ethology) as well as Physical Sciences (such as physics, chemistry, petroleum engineering, mathematics, engineering sciences, information sciences, and earth and universe sciences). Candidates must be no more than 40 years old by the end of the application period for- PhD and not more than 45 years for Post-doctoral. The Program honors 14 talented African women (12 for doc & 2 for Postdoc) every year. 2 out of the 14 Fellowships, one at doctorate and one at post-doctorate level, will be given to South African women working or studying in South Africa. €5,000 each will be granted to 12 African Ph.D. Students enrolled in- an African University. €10,000 each will be granted to 2 African postdoctoral researchers- working in a laboratory or research institute registered in one of the region’s countries. Incomplete files or received after the deadline for application, as well as candidatures that do not meet the requirements mentioned above, will not be taken into consideration. Fellowship is granted by the L’Oréal Foundation and L’Oréal South Africa in partnership with the UNESCO Multi-Sectoral Office in Eastern Africa and the African Network of Scientific and Technological Institutions (ANSTI).